Debate: Should Newcastle Target Youth or Experience? Opinion. It’s the very basis on which democracy, free society, and on a slightly smaller scale, this website flourishes. At The Spectator’s View, we believe that opinion is the very essence of “fanship” – if that’s a word – and here we look to explore two strong contrasting views about a very pertinent topic. 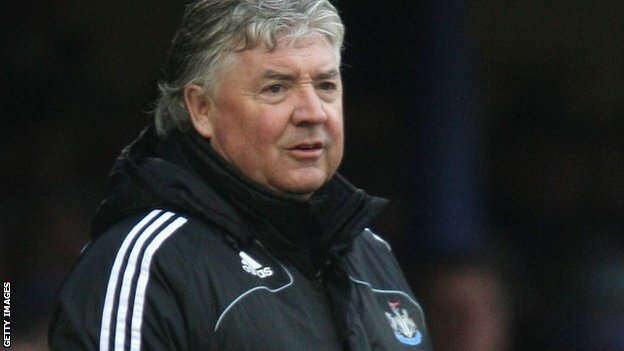 And this Summer, unlike in previous transfer windows, it appears as though the Newcastle management have changed their tune in regards to transfers; instead of adhering to a strict under 25 years-old policy, shaped around the pursuit of fresh, investable players, we are now focusing more so on experience, most notably in the shape of Loic Remy, Bafetimbi Gomis, Darren Bent, Salomon Kalou. Both policies have their advantages, but both also have negatives. And in this article, we’ll focus on which policy would be most beneficial to a team like Newcastle at this point in time. In spite of Newcastle’s affinity with younger players, the Newcastle squad is not young. Currently, not one of Newcastle’s strongest XI is under the age of 24 years old. Therefore, if anything, we need more youngsters in and around the first team. Haidara is currently the only youngster who could realistically be playing for the first-team on a regular basis in three years time. Campbell hasn’t proven himself at that level yet to be considered in the same bracket, while I doubt Ferguson or the ‘academy jewel’, Dummett, will still be here. With the exception of a new winger, I don’t think the first XI needs strengthening. At this current moment, the Newcastle academy cannot compete with the big guns. Sides such as Everton, Tottenham, Arsenal, and even West Brom are churning out players by the load and the only way we’ll be able to assure a solid future is to invest in players with big potential when they’re young; it’s cheaper and healthier for a club to be introducing players to first-team football at a young age. Instead, its the squad that needs bolstering. As previously said, the squad depth is the main issue and I feel that this problem can be best resolved by young players who can slowly be introduced into first-team football from the bench. Furthermore, Ashley is a businessman. Looking at it objectively, he’ll judge a player more on his “investibility” rather than his skill. It’s therefore unlikely that Newcastle will bring in a 30 years old+ player because it’s unlikely that he’ll ever bring in a worthy financial return. The side is undoubtedly in need of new squad players, as Alan Pardew has repeatedly bemoaned. And in this case, experience would seem to be key. This is not to say Newcastle are currently lacking quality. With our strongest XI out, I feel we could convincingly challenge any team in the league. But as we were painfully reminded last season, injury can turn a season on its head. Depth of squad is therefore paramount to consistent success. There are very few players under the age of 22 who can genuinely consistently deliver in the Premier League having come straight out of an academy – even if they impress initially, eventually their immaturity and a lack of variety to their play shows and they fail to maintain the same level of play for an entire season. Raheem Sterling is a classic example of this, going from an England cap in November to being out of the side by February and then getting injured and missing the rest of the season – which brings this argument to the second point against younger players: in order to develop, they need first team action on a regular basis. In general, it is not of much benefit to have youth players as squad players, despite the number of clubs that do so. In terms of experience, the biggest teams serve as an example to this strategy. Robin Van Persie, in the final year of his contract, was 29 when Manchester United splashed out £24 million and how handsomely did he pay the Red Devils off. Another example that you can look at is Zlatan Ibrahimovic, who was bought by PSG when he was almost 30, Bayern Munich’s Dante was 29. The point being that the quality will pay for itself and will entertain as well. Looking at all these examples I cannot think if any of those clubs lost money on the specific deal in the long run. Evidently, we’re picking out big names here, players that Newcastle would not be able to attract, but it serves the same purpose. Experience is invaluable; it provides a team with a degree of added wisdom, calmness and a bit of oomph. Sure, the Toon had their hands burned when they offered Sol Campbell a contract who was well into his thirties, but that has to be more of an exception than a rule. For me the club should keep an open mind about what type of players to bring in. There may be players who the fans or the management believe can offer a lot to the club but just don’t fit with the strategy. It should always be the club first. If the club do not wish to incur a capital expenditure on the player of that ilk then at least a free agent must be considered at worst. For me it is a parochial mindset to merely focus on young players because of their investability. What do you think? Are Newcastle more in need of experience or youth?